Our favorite night of the year is back tomorrow at the Elbo Room! We’re bringing back the Muni Haiku Battle after a hiatus (here are all our trophies from years past). The battle will pit current champion Baruch Porras-Hernandez against Irene Tu, who holds the title at the Dirty Haiku Battle at Tourettes Without Regrets. 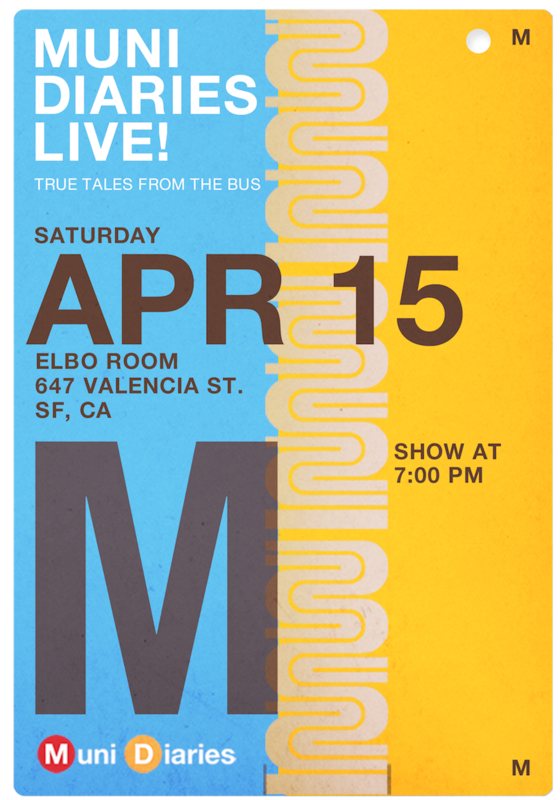 You’ll also hear stories from San Francisco Chronicle reporter Vivian Ho, Bawdy Storytelling founder Dixie De La Tour, host of the I Don’t Even Own a Television podcast J. W. Friedman, and comedian and writer Na’amen Tilahun. Our storytellers are ready with their only-in-SF tales. Advanced ticket sales just ended, but don’t despair, we will have some tickets at the door! Doors open at 6 p.m. See you tomorrow! Graphic design by Craig Fowler.